So… my friend Keris (of Fitter London) got into making Bread with Ground Almond instead of flour (to cut the long story short, this is part of Paleo eating… I won’t go into it but for more info, check out the Fitter London Blog). It worked and I loved them… they were a little dry though. 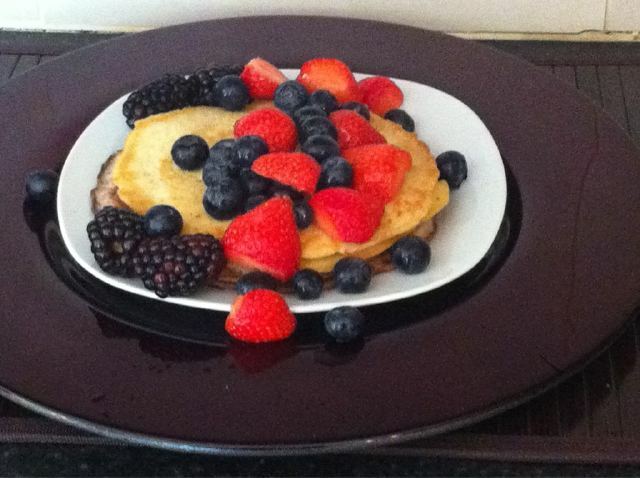 I thought back to when I was a teenager and my Mummy taught me how to make pancakes… one of the ingredients was MILK… so next time I made the pancakes, I added coconut milk and…. my recipe was born! 1. Break eggs into a bowl. Add the ground almonds and whisk till smooth (consistency should be very thick, like cake mix). 5. Add a serving spoon amount to the pan and move around in pan till it forms a circular shape. Allow to cook for about 2 minutes… keep checking with a spatula till it gets dark brown and is firm. 6. Flip the pancake and allow the other side to cook – takes roughly the same time. 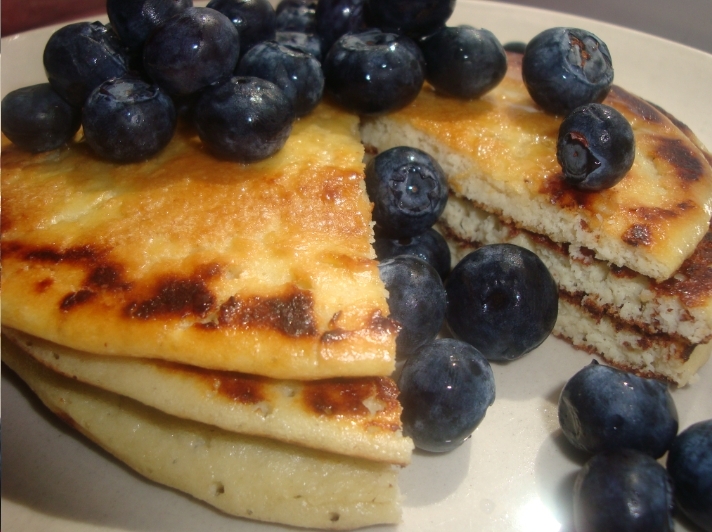 I used blueberries (I love them) and a little more honey (instead of maple syrup). If you’re in Nigeria, I’ve been told about wheat meal.. I’m not 100% sure what it is yet but hope to try it it out soon. Another option is coconut flour. This entry was posted in Eat In, Healthy Eating, pancakes, Recipes on February 21, 2012 by Adura Odesanya. These look so gorgeous and I’m sure they taste equally gorgeous as coconut milk and honey are some of my favourite ingredients! I will definitely be trying this. 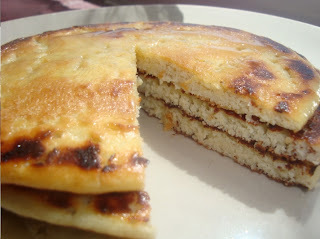 Sometimes I get a hankering for pancakes but stay off because I only know how the white flour recipe.